Obtain the quality parts you need by turning to Neely Precision LLC. Neely Precision is located in Gallatin, Tennessee, and serves customers both locally and worldwide. Contact us to receive more information about our precision work today. After working in the industry since 1979, Dewayne Neely decided to open a general Machine Shop that not only would provide superior-quality machined parts at a fast pace but also a fair price. As a result, he founded Neely Precision on January 1, 2001. In 2012 we moved in our new 16,000 square foot facility in Gallatin TN. Since the move we have added more equipment & personnel, which makes Neely Precision more suited than ever to meet your needs. Neely Precision takes pride in meeting customer needs! In 2012 we became ISO 9001-2008 Quality Control into our operation. 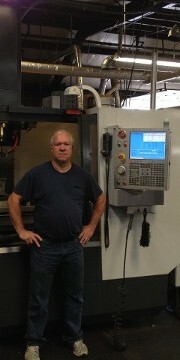 We are ready to take care of all your Machining needs. Monday thru Friday are our operating hours, also we take phone calls 24 hours a day, to ensure you have support at all times. Take advantage of the services offered by our machine shop, and contact us at (615)230-5713 in Gallatin, Tennessee, today. Click Here to Visit Our Online Machine Shop!